Start your grooming routine the right way with Percy Nobleman's fresh and invigorating Face & Stubble Wash. Blended with the finest pure ingredients and formulated with natural cleansers derived from coconut, Percy Nobleman's Face & Stubble Wash will provide gentle cleaning without stripping your skin or hair of their natural oils. Lightly scented with Peppermint and Cucumber our beard friendly face wash will help leave your skin and stubble feeling clean, fresh and ready to face the day! Not only that, our Face & Stubble Wash is also 98% naturally derived. Revitalising and nourishing your skin & stubble doesn't get easier than this! Recently launched in the US. 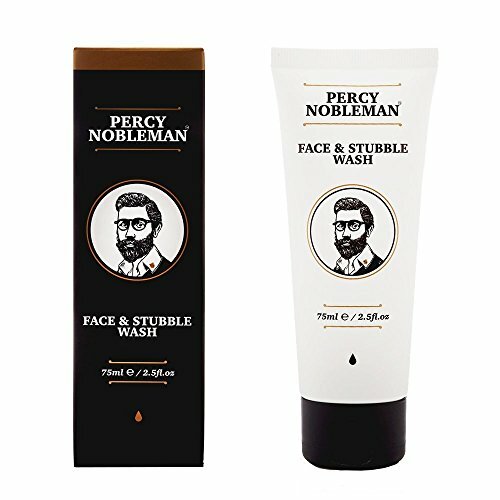 Be one of the first to try our Face and Stubble Wash today! Add to cart now! Third grade students offer advice on "How to Cook a Turkey"